Squaring off against the stingiest defense in the league twice in a week, the Seattle Sounders will need to grab goals any way they can to reach the MLS Cup. Despite the inclination to bill the Seattle-Colorado MLS Western Conference Final as the Smoke-a-Bowl (remember Seahawks-Broncos? 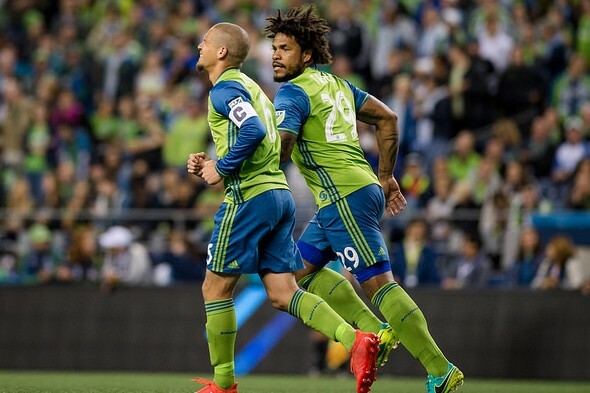 ), the truth is that the two-legged series between the Sounders and the Rapids won’t light it up, at least as far as goals are concerned. A grind, unlike a higher-scoring affair such as Seattle’s 4-2 aggregate victory over FC Dallas in the conference semifinals. Colorado’s defense will be one cause for a low-scoring series, which begins in Seattle Tuesday (7 p.m., FS1). The Rapids surrendered a league-low 32 goals during the 34-game regular season, seven fewer than the next lowest tally by the star-studded Los Angeles Galaxy, whom the Rapids bounced from the playoffs on penalty kicks Nov. 6. Even a season-ending injury that star Rapids goalkeeper Tim Howard picked up on international duty against Mexico Nov. 11 may not hamper Colorado’s defense. Before Howard’s midseason arrival, then-starting keeper Zac MacMath posted a goals-against average of 0.76, lowest of any keeper with 15 or more starts. On the offensive side, the Rapids have scored 39 goals, fewest of any team. Taking the quality over quantity approach, Colorado used stingy defense and the best home field advantage in sports—altitude—to go 11-0-6 at home, where the second leg will be played Nov. 27. The Rapids won both games in the season series, 3-1 April 23 in Commerce City, and 1-0 May 21 at the Clink. The two-week international break will also disrupt the rhythm of both teams, who went from a frenetic schedule in the early part of the playoffs to a long period of inactivity, further extended due to a Seattle Seahawks home game Sunday. Sounders coach Brian Schmetzer sayas his players would have preferred a shorter break. “We’re going back to work,” Schmetzer said on a conference call Wednesday. “I like to give the guys their time after big victories. The intensity of training has been good, but you don’t know with such a long break. I know that every single player on our team would probably prefer to just keep playing. When the games were coming fast, the team performed and they did well. We’ll see what happens. It’s a unique feature of soccer: International breaks reducinge even the highest-drama periods to thumb-twiddling and clock-watching. If there is a bright side to the delay, it is injury recovery. So often, playoffs come down to which players have remained healthy long enough to contribute. Jordan Morris, named MLS Rookie of the Year on the back of a 12-goal season (with six game-winners) was subbed off during the second leg against FC Dallas with a hamstring injury. But with time to recover, he took part in large portions of practice Wednesday. Other Sounders who benefited from extra rest include Brad Evans, Andreas Ivanschitz and Alvaro Fernandez. Roman Torres, who missed the semifinals due to injury, was healthy enough to play 90 minutes for his native Panama against Mexico Tuesday. All the evidence points to a low-scoring series. A multiple-goal win would do wonders for Seattle’s chances to reach its first MLS Cup in eight attempts, but a single score would be a formidable achievement before hitting the road for the second leg. Howard’s absence will be felt regardless. He brings so much to the team beyond just goalkeeping though the Sounders can’t underestimate Colorado. Take advantage of their loss of Howard and pile up the goals like last time.